SKU: 3655i/x. Category: Xerox laser MFP. Tag: Chester806. 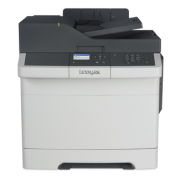 Xerox WorkCentre 3655i/x MFP get you best-in-class speed, expanded capabilities and professional-looking for high print quality for your busy office. If you are looking for a multifunction printer a emanding workgroup, the WorkCentre 3655 is the right fit. 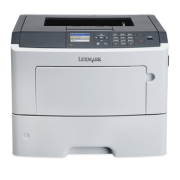 Why choose Xerox WorkCentre 3655ix MFP? Protect against data breaches. Compliant with the 256-bit AES FIPS 140-2 standard, it safeguards all sensitive data with encrypted PDF files for scanning and hard drive encryption. Keep unauthorized users out. Xerox user permissions, network authentications, IP filtering and smart card features ensure that only authorized users have access to the device. Stay ahead of security threats. Xerox proactively monitors security clearinghouses for new threats as they emerge and provides patches when needed. This ensures that your device’s security is current and your data is safe. Print when and where you want. With Apple® AirPrint™, you can print email, and important office documents directly from your mobile iOS device when connected to your office Wi-Fi network. And when working offsite, you can use Xerox® PrintBack to print documents back at the office. Stay current and compliant. Whether you work in government, finance or healthcare or other industries, WorkCentre 3655 devices comply with the latest security standards including Common Criteria, HIPAA, Data Protection Act, COBIT and more. Be the first to review “Xerox WorkCentre 3655i/x MFP” Click here to cancel reply.